Earn two degrees at once. Students in the Master’s Programme in Information Systems at the University of Liechtenstein have the opportunity to take the second semester of the Master's programme in Wirtschaftsinformatik (in German) at the Julius Maximilian University of Würzburg as regular students. All academic achievements at the University of Würzburg are fully recognized at the University of Liechtenstein, and vice versa. Thus, students can earn two Master’s degrees at the end of their studies: one from the University of Liechtenstein and one from the University of Würzburg. 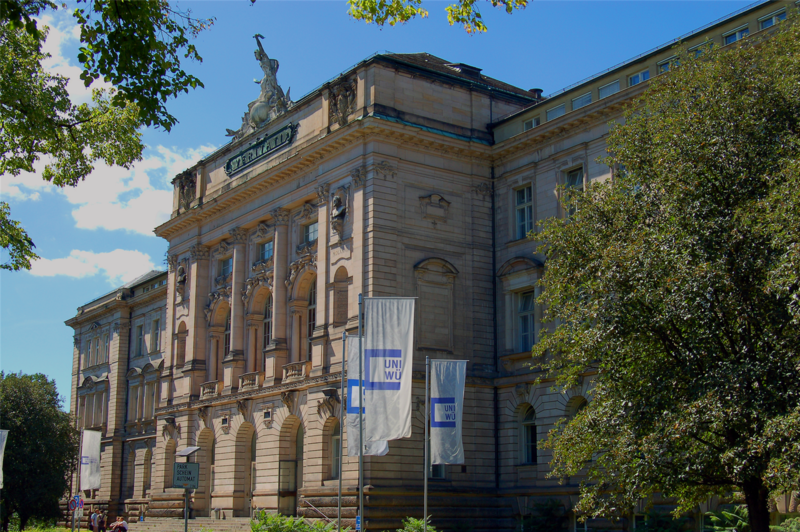 All courses at the University of Würzburg are taught in German. The main focus of the study programme is on information modelling, information and business process management, and business information systems (selection, project management, design, application) in domains like trade, industry, media, administration, and banking. Students acquire subject knowledge but are also involved in research through independent work. Problem-oriented learning, which is also reflected in practice-oriented courses that deal with real business problems, helps students to deal with course content and to develop potentially interesting questions for research projects. The courses cover core topics in information systems, computer science, and business administration, and related topics like operations research and technology management. The study programme focuses on conceptual issues and implementation processes. The focus is on information modelling, information management, and the design and introduction of business software. Interested students must apply to the Institute of Information Systems by 20 December for the summer semester, which starts in April. The following documents must be sent by e-mail to iwi@uni.li: transcript, Bachelor's diploma, curriculum vitae, short letter of motivation. Enrolment in the Master’s Programme in Information Systems at the University of Liechtenstein is required, as is knowledge of the German language at the B2 level according to the “Common European Framework of Reference for Languages (CEFR)”. Participating students remain enrolled at the University of Liechtenstein for the duration of their studies and are obliged to pay tuition there during the exchange semester as well. Tuition at the University of Würzburg is EUR 124.50 (as of summer semester 2017). Tuition must be paid for the entire duration of enrolment at the University of Würzburg (usually from the 2nd to the 4th semester). There are several student dormitories at the University of Würzburg. Information about available apartments, the application process, and deadlines can be found on the website of the Studentenwerk.